Jesus instructed his disciples at the last supper to remember him by sharing bread and wine. Today, over two millennia later, we celebrate this in our Eucharist feast, also known as Holy Communion or the Lord’s Supper. When a child reaches the appropriate age, usually 7 (school year 2), they can take part in our preparation course, which teaches them about the spiritual meaning of the communion so that they can partake fully in the Christian worship. The First Communion is a deeply significant step in the life of a young Christian and is often celebrated as a family occasion. 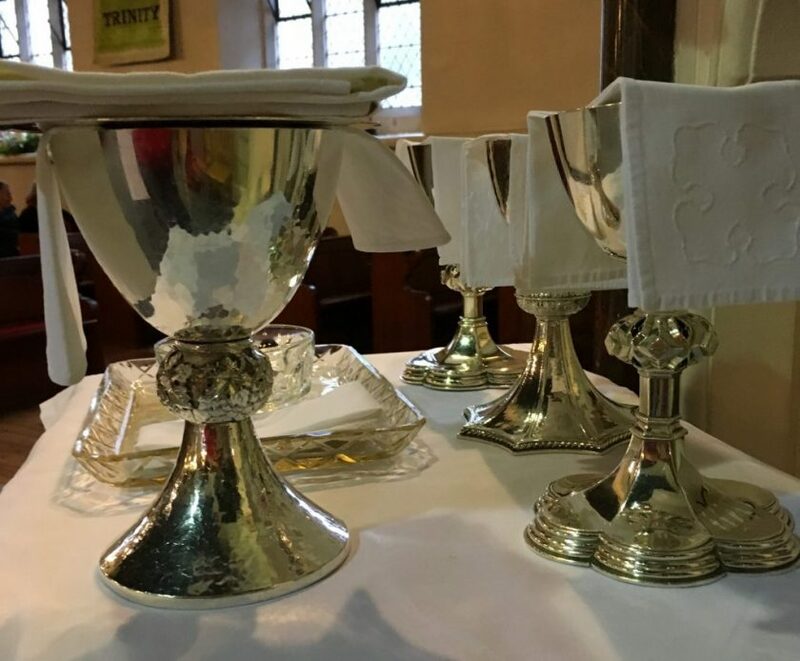 We are delighted when young people in our congregation come forward to communion and take this, their first steps on their independent faith journey. We are also delighted if you are joining us as an adult and want to explore the meaning of the Eucharist. If this is you please see our section on preparing for Confirmation.